Arrive at Juan Santa Maria International Airport in the capital city of San José, and transfer to your hotel in downtown San JosE. You'll relax by the pool, begin to get acquainted with fellow travelers and enjoy our welcome gathering and dinner in a nearby restaurant. The group will explore the “new” San José with a guided walking tour of vibrant neighborhoods, independent coffee houses and foodie destinations, and also volunteer with a local nonprofit on an urban river clean-up and care initiative. With long-time Wonderful Women guide and good friend, Alex Alvarez, we’ll travel by coaster bus and ferry to the southern tip of the Nicoya Peninsula. You will hike and picnic in the secluded Cabo Blanco Natural Reserve, Costa Rica’s first protected land, and a perfect location for spotting birds and wildlife. We'll greet the day with a morning yoga class, visit the Montezuma Waterfalls, explore small-town, bohemian Montezuma and enjoy the expansive oceanfront garden. From the Nicoya, we will head south toward the rainforest of the Osa Peninsula. On the Osa: We will spend time with locals to learn about the staggering beauty and rural sustainability initiatives. You'll meet my longtime friend, Pedro Rojas, to learn about the history, culture and renowned artisanry of the indigenous community of Boruca. 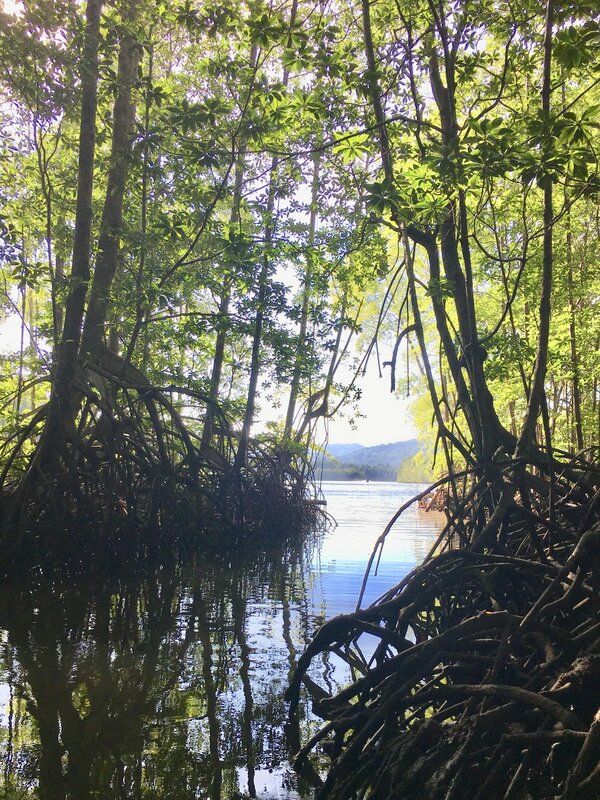 We'll enjoy a boat tour to explore beauty and see the wildlife of Central America's largest mangrove system, take a gold mining tour, and visit a butterfly farm. 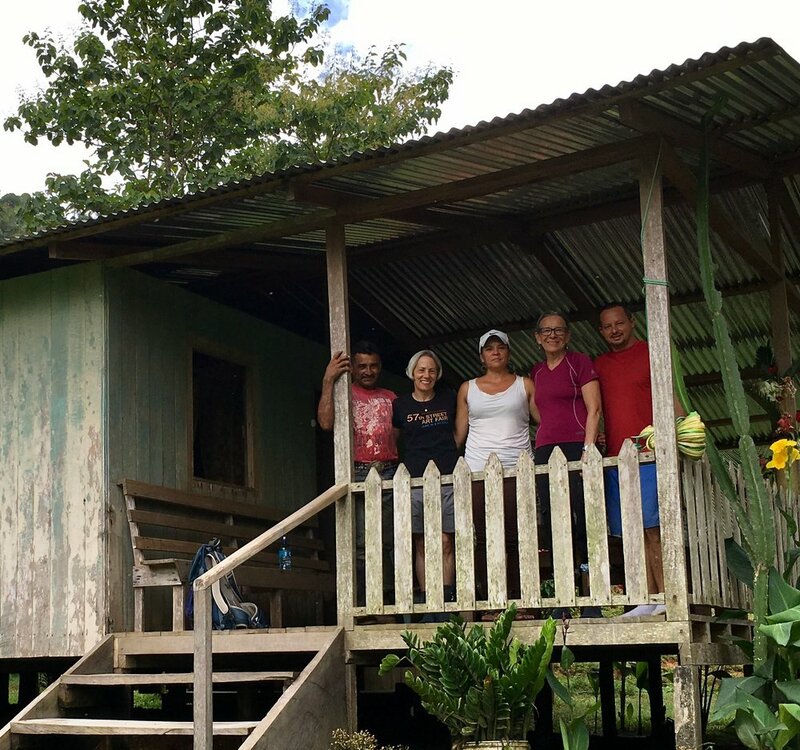 We'll also spend time with local leaders Yenci and Freddy, help cook dinner, and enjoy the lodging and surrounding beauty of Finca El Descanso. You will spend the last three nights enjoying a little slice of paradise. The view and lush jungle surroundings will take your breath away. Perched high on a cliff overlooking the Pacific, our home will be Drake Bay’s stunning La Paloma Lodge. We'll enjoy a guided coastal walk, followed by snorkeling, swimming and a barbecue at San Josecito beach. 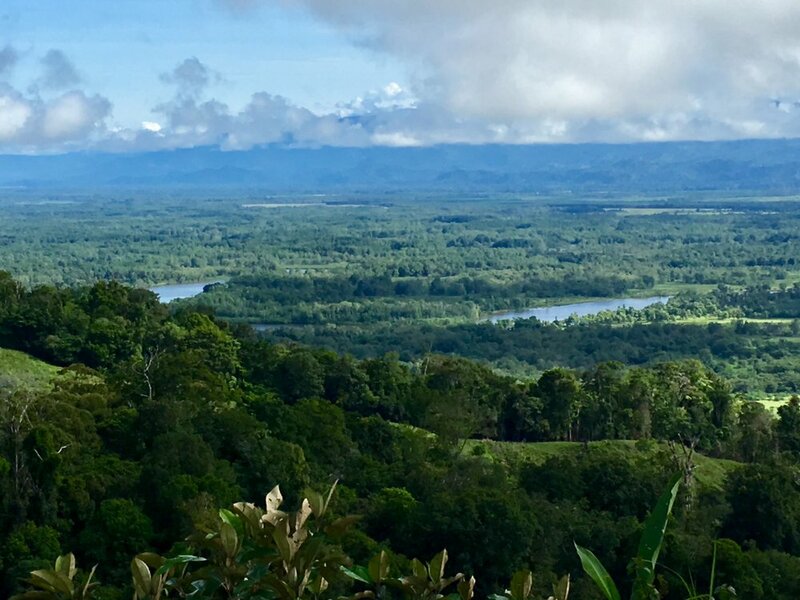 You'll be able to go on a wildlife hike in Corcovado National Park, go ziplining, kayaking, and enjoy a rainforest massage before our final festive dinner before the trip's end. We will depart from Drake Bay and the Juan Santa Maria International Airport on February 16. Join us for a language and culture program customized by Personalized Spanish School, a small boutique school in the community of Tres Rios, just outside of San José. Personalized Spanish has collaborated with Travel With Ann on more than a dozen programs since 2010. In your two and a half days, you will have Spanish classes and related programming, stay with a host family and experience local culture, and get a jump start on your Spanish before the official Wonderful Women trip begins! Small classes with three students maximum. University-educated instructors who teach to your level of Spanish and learning style. Cultural activities include an evening of traditional music and dances of Costa Rica’s seven provinces. Homestays with Tico families- allowing you to practice Spanish in real life situations. Typical foods include delicious tropical fruits, gallo pinto, and regional specialties. School facilities include free wi-fi and unlimited international calls. All other activities associated with this program except three lunches, public bus transportation, and transfer to Hotel Boutique Jade in San Jose on February 6. A small portion of participant registration fees will be contributed to the Osa communities we will visit on February 12-13. Interested in registering for the trip? Contact Ann Becker to learn more and find out if space is still available.